Richard is an executive marketing specialist in crypto, blockchain, tokenization and capital raising through digital finance. He previously led the Marketing and Product teams at Argon Group - one of the largest investment banks catering to capital raising through digital finance, blockchain investments and the cryptocurrency sector. 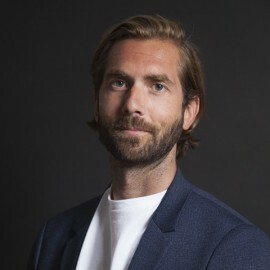 He has worked with some of the largest global creative agency networks, specialist boutiques and on numerous start-ups in the digital and tech space across the globe and led firms in Sydney Australia, London UK, Niseko Japan, Dubai UAE and Los Angeles CA. Masterworks was founded in 2017 by Scott W. Lynn to build a stock market for great works of art. Masterworks is the first company to allow investors to buy and trade shares in masterpieces created by world-renowned artists. Each painting is registered as a public offering with the Securities and Exchange Commission, and tracked on the Ethereum blockchain. By strategically purchasing investment-grade works of art, Masterworks is democratizing the art world by making high-end art investment accessible to everyone.